Cinthol Deo Spray for Women and Men, it is Skin Safe No Alcohol and comes in five flavors. Butane, Isobutane, Propane, Cyclopentasiloxane, Fragrance. Isopropyl Myristate, Triclosan, BHT. The packaging is simple and awesome. 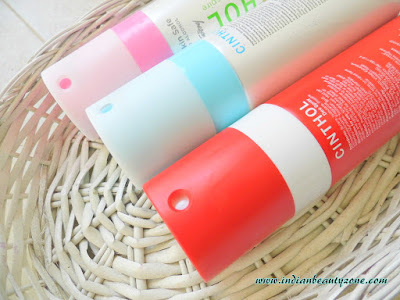 It has no separate lid and it has attached pump dispenser which you can twist and spray the deo spray and then again you can close it by twisting. It is not sleek but travel friendly though. 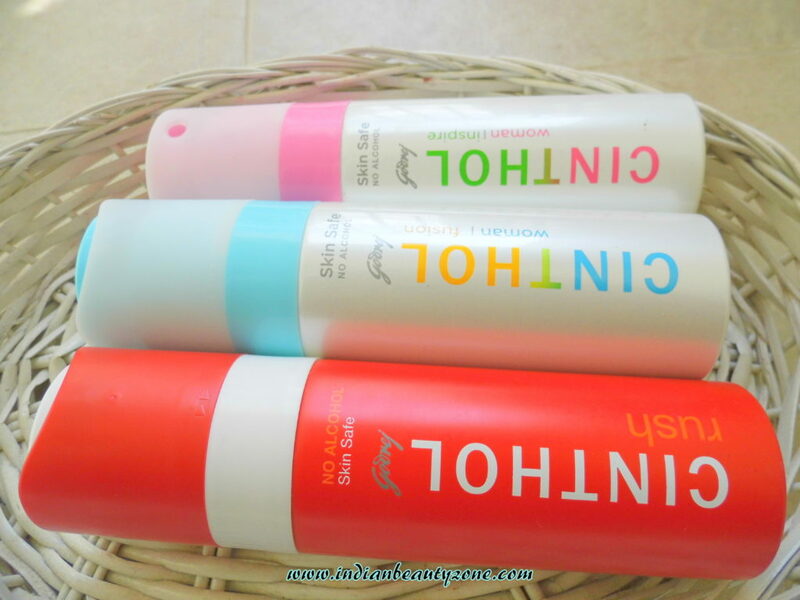 Cinthol Deo Spray for Women has four variants I think. I picked two of them, their names are Inspire and fusion. The Inspire one is comes in a pink package and the smell is something like sweet fruity fragrance. The Fusion one is comes in a sea blue package and the smell is so refreshing and citrus like fragrance. I like this one more than Inspire and I am sure every girl will like this smell. It is refreshing and awesome smell. 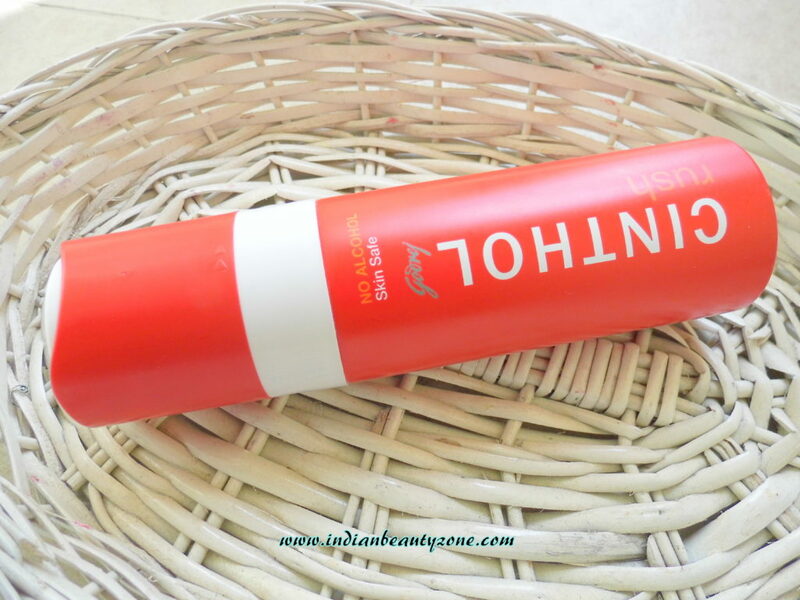 The deo sprays are long lasting than the other body sprays I have used so far. It is so impressive and you can smell the fragrance even in the next day. the fragrance is neither strong nor mild. 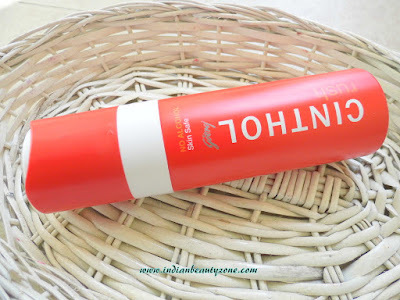 The plus point with this Cinthol Deo Spray is it is alcohol free and skin friendly. 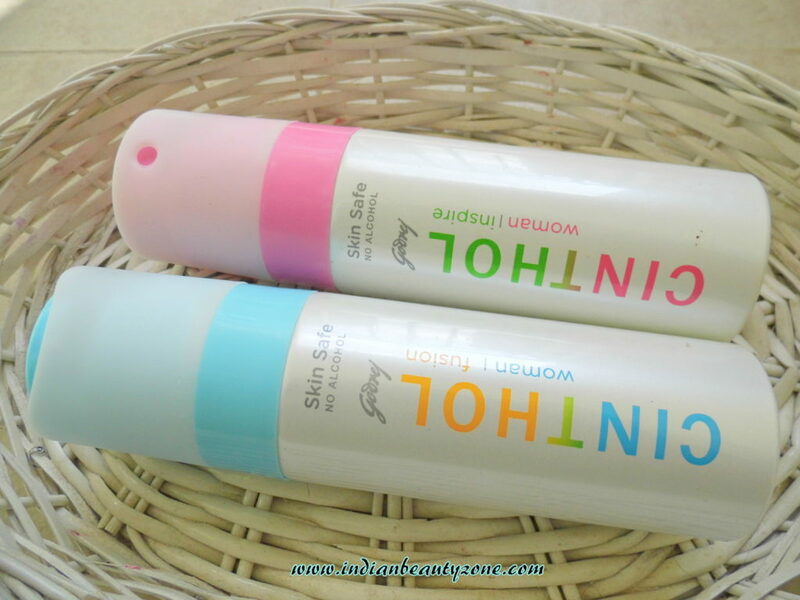 I usually choose alcohol free body sprays which is safe for skin. 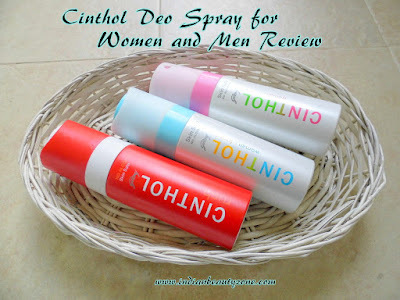 Cinthol Deo Spray for Men also good and my hubby chosen RUSH flavor which is spicy fragrance and he loved it a lot. Totally these body sprays won our heart and I am loving it to the core. It is easily available and travel friendly. Alcohol free and skin friendly. The fragrance is really long lasting. The Fusion flavor is a must have one for every girl. They have good collection for men also. Cinthol Deo Spray for Women and Men are really awesome body sprays and every girl must try them once. Choose your favorite fragrance and enjoy as they are really inspiring and awesome.